Sleeping Giant’s Managing Director, Luke Quilter, has been invited to sit on a panel of local entrepreneurs at Kent 2020 Vision Start-Up Live. He will be fielding questions from people starting up a business. 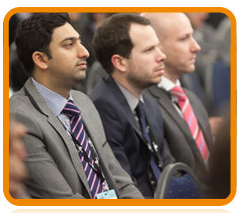 The event is to be held at the Kent Event Centre, Detling on 24th October 2012. The event will be open from 11am to 7pm. Luke won KEIBA’s Young Entrepreneur of the Year Award 2011 so he’s a worthy addition to the expert panel. Luke was selected as young entrepreneur of the year for creating Sleeping Giant Media. Sleeping Giant Media is a commercially focussed search marketing agency based in Folkestone, Kent. We work closely with our wide range of clients to increase relevant visitor traffic to company websites and also boost sales and enquiries using our specialist knowledge of online marketing. We have helped many start ups over the last 3 years and happy to be included. Kent 2020 Vision is a free event for anyone who has recently started or is thinking of starting their own business in the next couple of years. Alongside exhibitors from leading suppliers and support organisations there will be “kick-start” workshops and seminars running throughout the day. The organisers of the event are confident that attending Kent 2020 Vision for just this one day will provide all the information, support and guidance necessary for visitors to succeed in their entrepreneurial ambitions. To find out more about the event visit the Kent 2020 Vision Start-Up Live website. Obviously Luke will be at the event but our Commercial Director will also be in attendance and happy to spend some time talking over how we have helped start up businesses evolve into well established and profitable businesses.